Invictus by Paco Rabanne is a fresh and aquatic fragrance for men. It contains notes of grapefruit, marine accord, aromatic bay leaf and hedione jasmine on a woody base of guaiac wood, patchouli, oak moss and ambergris. Invictus is inspired by sport, embodied in the legends of the Romans gladiators. It's an energetic fragrance that's perfect for active men. The name is latin, meaning "Invincible.” The bottle is designed in the shape of a trophy. 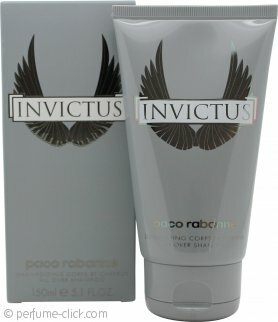 Invictus by Paco Rabanne was launched in 2013.